Classic Concrete & Construction, Inc. Comment: We want to replace our entire driveway, including the turn around area. Comment: I would like to get an estimate for installing a concrete driveway and replacing current drive. Comment: I would like to get an estimate for a paving project with pavers. interlocking pavers. patio-approx 16 by 50 .some concrete will need to be removed. Comment: Driveway was damaged by tree root. I also need a deck/patio built in the backyard. Woodstock Concrete Contractors are rated 4.73 out of 5 based on 1,356 reviews of 57 pros. 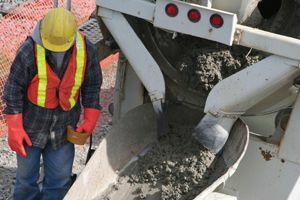 Not Looking for Concrete Contractors in Woodstock, GA?